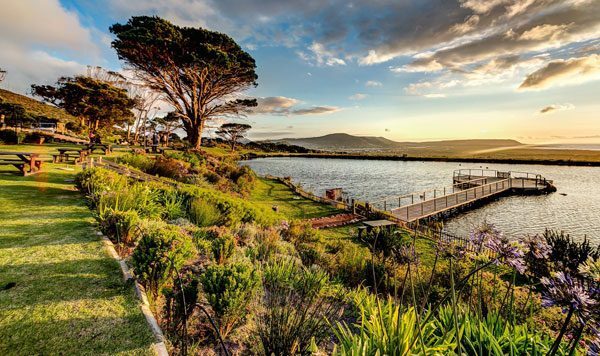 Though Pretoria may sport various bodies of water – Rietvlei dam, Roodeplaat dam and the Hartbeespoortdam – it sadly isn’t enough to make the city’s seafood supply self-supporting. The inland capital is therefore reliant on fresh fish flown in from the coast, which happens daily. That means purveyors of fresh fish do a good job at keeping restaurants stocked with fresh oysters and the like. Here’s where to find the freshest seafood in Pretoria. Stavros Vladislavic makes some of the best Greek food around, so if you can convince him to cook for your special occasion, he’ll haul out the best dolmades and other Greek delicacies around. Though the seafood platter – comprising kingklip and hake loins, prawns, mussels done in white wine garlic and cream, calamari in a light chilli sauce, rice salad, pita bread and tzatziki – may appear somewhat old fashioned, it certainly ticks all the right boxes. Other dishes include sardines with onions and green pepper, kingklip topped with spinach and feta, and crumbed hake topped with calamari. This one isn’t a restaurant, but there’s a very good reason it’s made the list: this could be the spot to find the best paella in Gauteng. Paolo and Annalize have over the years earned themselves a reputation as the most steadfast and reliable fishmongers in Pretoria. Their shop in Groenkloof stocks a range of frozen fish and also offers a great service for filleting and cleaning fresh fish on demand. They often have fish in from Mozambique and if you’re on their notification list, you’ll always know what’s at the very height of freshness. Paulo decided to branch out a number of years back and is now considered the best paella-maker in Gauteng. Last year alone he made over 70 paellas all around town. He needs around 24 to 48 hours notification and has pans large enough to serve 120 people in one go. The standard paella consists of chorizo imported from Portugal, dorado or kingklip, mussels, Mozambique prawns, clams, calamari tubes, rings and tentacles. 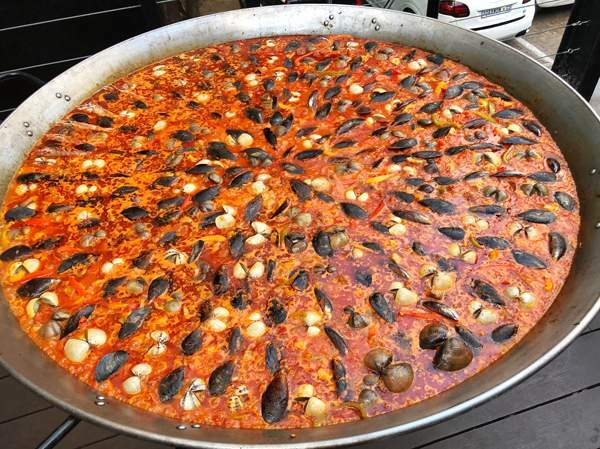 One of the massive paellas. Photo supplied. This is a corner café in the traditional sense, where one can buy an assortment of goods. The menu, displayed up against the ceiling, is massive but it’s the classic fish and chips that patrons from all walks of life queue for on weeknights. The nostalgic aroma of fish and chips doused in white vinegar will envelop you in the car on the way back home, tempting you to dig in. Fish and chips at St George’s Cafe. Photo supplied. 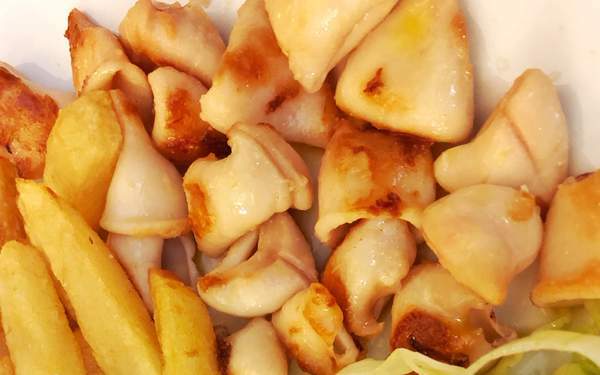 Calamari heads, the hake-and-prawn combo or the special platter of hake strips, prawns, calamari and chicken livers could all easily double as meze at this bright eatery. 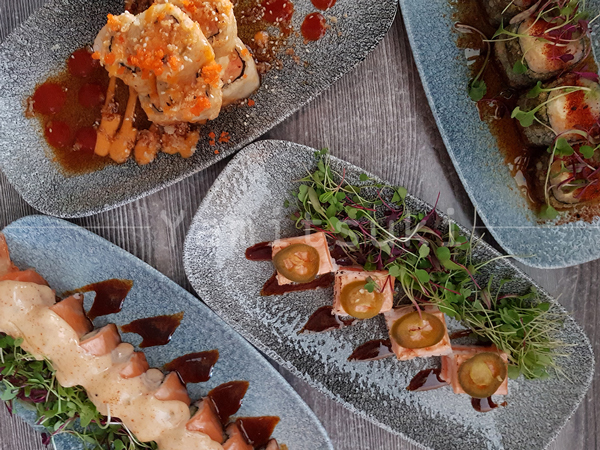 The menu boasts an impressive sushi selection, with pictures of each type of sushi for easy reference, plus there are delicious-sounding curries like the Thai prawn curry. The Famous Fishoek is right across the entrance doors of the Atterbury Theatre, so there are always patrons on their way to or back from a show. From the same stable as the original Alfie’s and Alfie’s Pizzeria at the Hazelwood Village, this somewhat more Mediterranean addition has a lovely fresh summery feel. 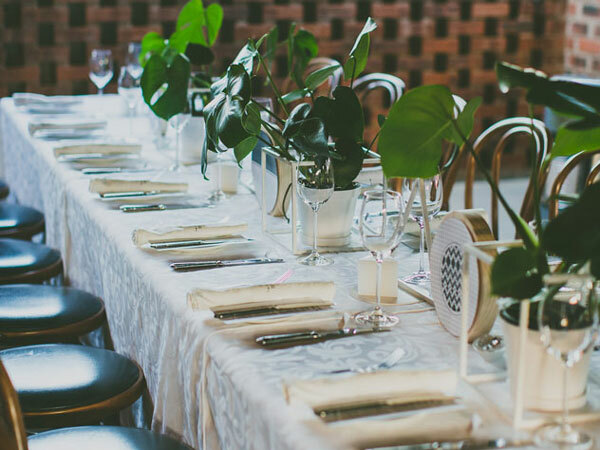 Sharing a space with the Village Boutique Hotel, it offers lovely tables beneath large trees. The menu is innovative and trendy, with dishes such as grouper ceviche, fresh tuna tartare and fish carpaccio with green peppercorns, spring onions and lime emulsion. Main courses include hake in thick white wine and Kalamata olive sauce, salmon with black sesame-seed crust and tempura-style cod. Almost as much of an institution in Pretoria as the Union Buildings or Church Square, LM in the East initially started way out in the west of the city. 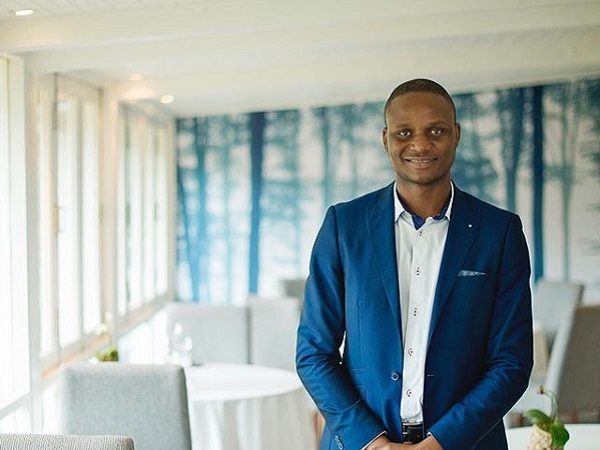 The restaurant offers a range of mussels, calamari, salmon and Luderitz oysters. Service may sometimes be a little slow, but the Greek-style Zorba’s calamari and sole Bonne Femme are worth a slight wait. Meat dishes and some pizzas ensure that non-fish eaters won’t go hungry. 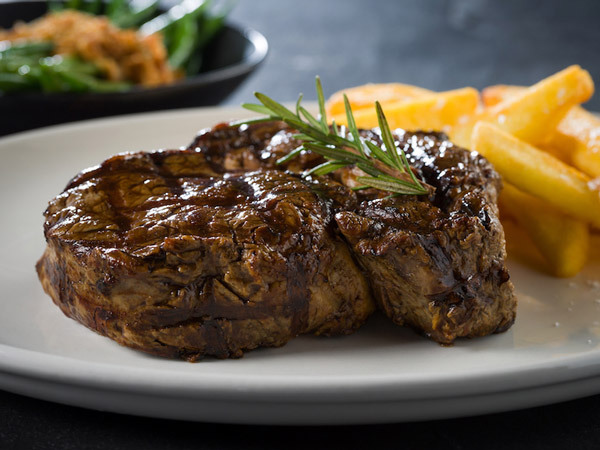 Mesa Portuguesa is a fabulous family restaurant run by Luiz and Emila Morais. The food is flavoursome and hearty, with a great Portuguese flair. Prawns can be ordered in various portions and sizes, and they offer a variety of combinations of prawns with hake, chicken, T-bone steaks and calamari. The combo starter plate includes prawn rissoles, giblets, calamari and chorizo. Other great options include fish espetada, grilled sardines, a seafood rice dish for two, and many traditional bacalhau dishes. Calamari and chips at Mesa Portuguesa. Photo supplied. Perched on the edge of the city, this barn-like restaurant serves delicious affordable seafood with a decidedly Portuguese Mozambique flavour. Though it can become slightly gimmicky with all the birthday singing, that also means that it’s the perfect place to gather in big groups and celebrate loudly and gregariously. Fish cakes, prawn rissoles and prawn bilene are some of the seafood starters. 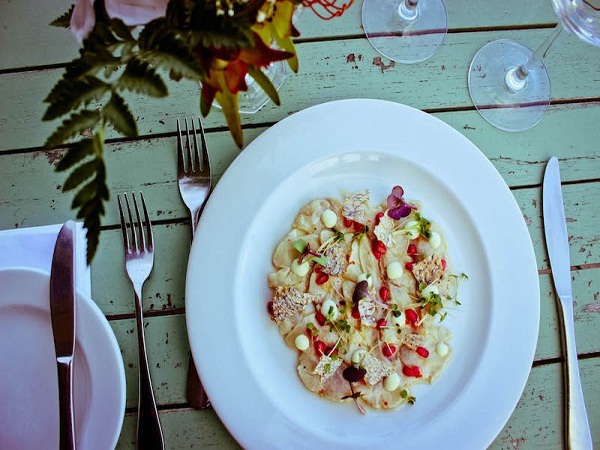 Mains include many seafood items, of which the kingklip with Zambezi coconut, chilli and lime sauce stands out. This seafood grill is one of the newer additions to the Hazelwood Village stable. It offers a decidedly Portuguese flair, serving up really great seafood dishes as well as tasty pasteis de nata for dessert. With a nice upstairs verandah serving gin and cocktails, Ozé also serves as a trendy little hangout spot for all ages. 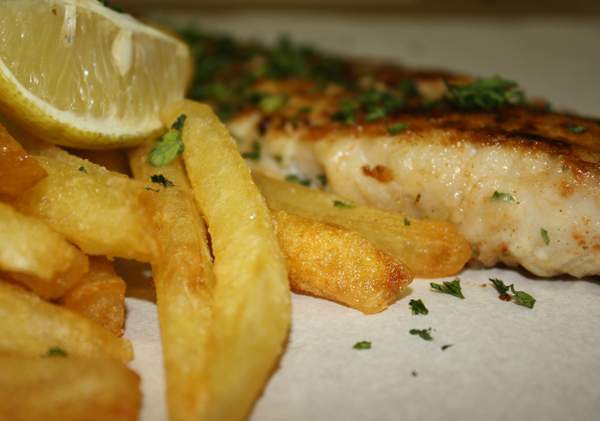 The menu holds many Portuguese-inspired secrets, such as kingklip on the bone with parsley and olive oil, traditional cod with roasted peppers and boiled potatoes, prawns and a seafood platter. 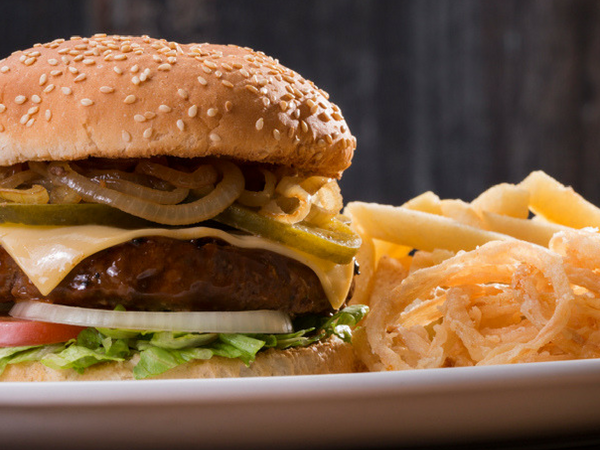 This glossy restaurant speaks to the high end of the consumer market – it’s a pricy establishment, but the quality justifies the expense. Service is top notch, entertainment is superior and the food is delicious and well presented. There’s a great selection of sushi plus a delicious bouillabaisse, oysters, salmon lattice, prawn spring rolls, salmon tartare, fishcakes and much more. Toni’s has a small but well-designed menu with a few nice wines available. Starters include lovely items such as pickled fish, a spring roll trio, clam chowder and mussels in tomato sauce. 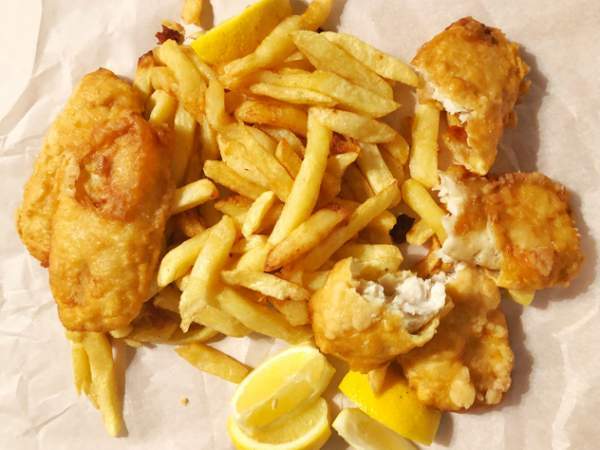 For mains, the standard fish-and-chips offering is extended to include an innovative selection of wraps such as the fish-and-calamari wrap, a calamari burger and a fish burger with house-made mayo and chips. Toni’s take on fish and chips is irresistible. Photo supplied. 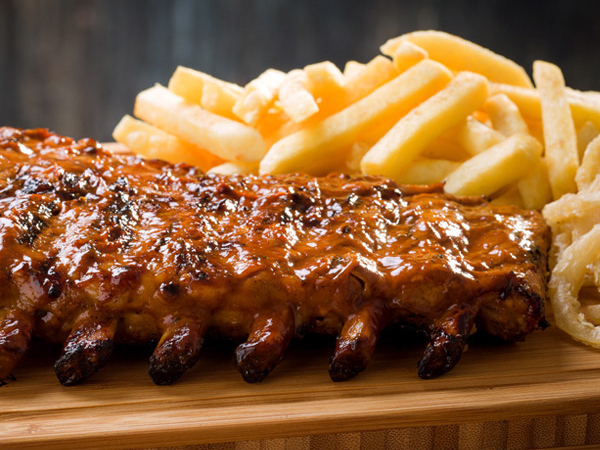 Did we miss your favourite seafood spot in Pretoria? Let us know in the comments below.